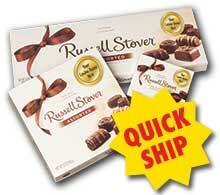 Brand name Food items for gifts and giveaways! Many more brands to choose from! 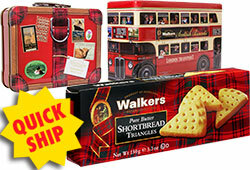 World’s finest shortbread cookies in assorted boxes & tins for your Players! 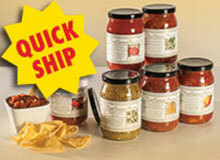 12 easy Gourmet dips mixes with premium ingredients for your Players! 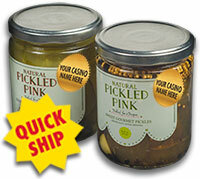 Gourmet Jalapeno & Sweet Pickles - great gifts for your Players! World’s best tasting pretzels - 10 different flavors for your Players! 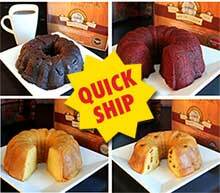 Your Players will love these hand baked cakes! 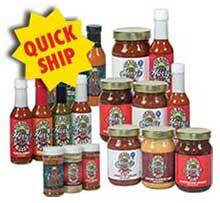 Get your Players Sauced with Hot Sauce Harry’s! Give your Players something special for the Holidays! This chocolate bar (with your embossed Casino logo into the chocolate) would be a great gift to your Players! 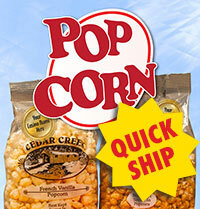 5 oz bags of great flavored popcorn with your Casino logo on the bag! Give Your Mom Some Sweet Rewards! Spice things up with your Players! A great promo with Omaha Steaks. 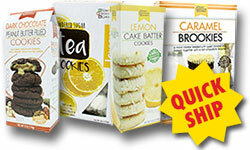 Irresistibly delicious cookies! Many flavors to choose from! 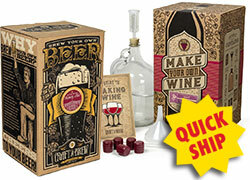 Unique gift for your Players - Craft their own beer or wine kits! 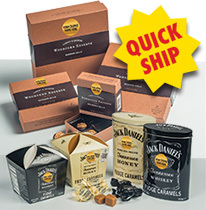 Woodford Reserve Bourbon Balls & Jack Daniels Fudge - great gifts for your Players! 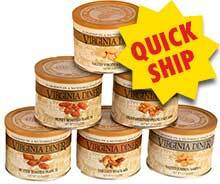 Wide assortment of nuts from the heart of the famous Virginia Peanut County! Create the perfect gift that your Players will remember! 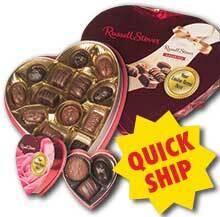 Nothing says we love our Players like Chocolate! 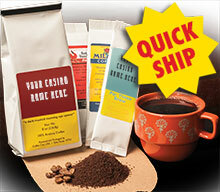 16 great flavors in 8 oz & 1½ oz bags with your Casino logo on the bag! Make your Players feel like a millions bucks! 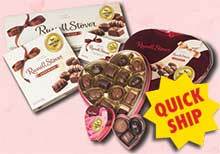 Chocolate bar for Valentine's Day, Easter, Halloween, & Christmas! 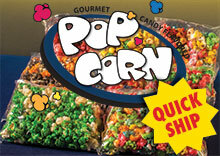 8 different great tasting gourmet popcorn flavors for all occasions! 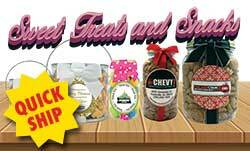 Great Treats for All of the Holidays!